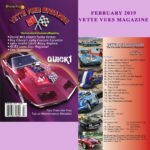 In this issue, we have some great Corvette features: Roy Oberg’s 1969 Custom Corvette, Larry Taylor’s 1963 Grand Sport #004 Replica, Dennis Gagnon’s 1958, and the Corvette called the “Scorpion”. 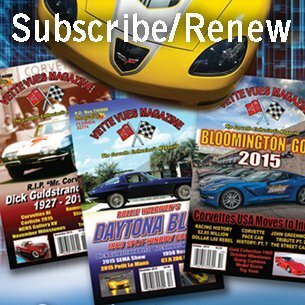 We also get a look at the Texas Chapter NCRS Lone Star Regional, the Concours of America at St John’s Inn, and a look back at the 62n IPL 500 Festival Parade. 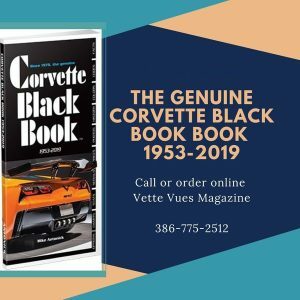 We all enjoy driving our Corvettes, well you are sure to enjoy reading about a group of Corvettes that travel across the country. In our Tech department, we look at High Tech Solid Axles and the Top 10 Maintenance Mistakes. 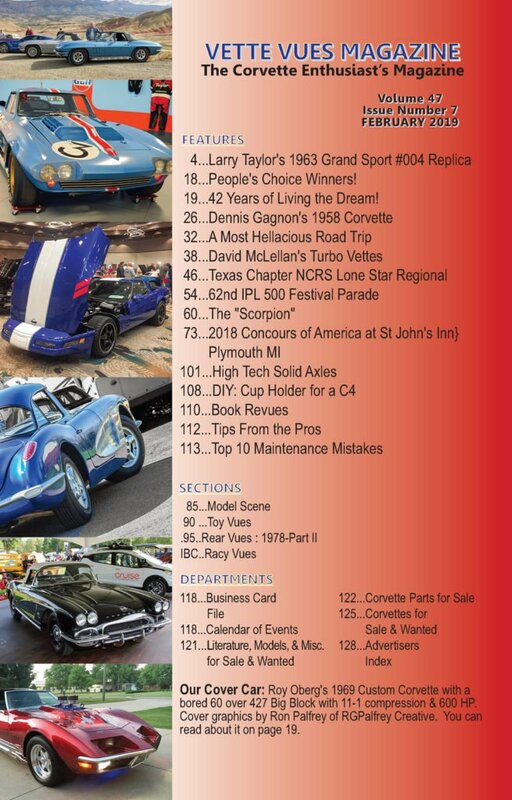 For the model car and promo, collectors check out our Model Scene and Toy Vues. 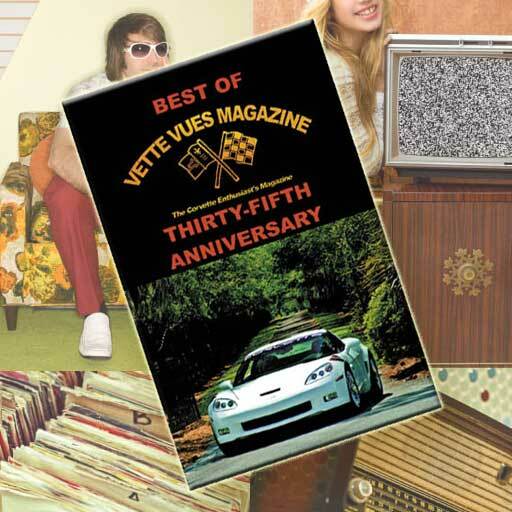 In Rear Vues we are looking the 1978 Vintage Corvette magazine ads. As always you want to check out the classified ads as well as the commercial advertisers, many of which are the actual manufactures! 19…42 Years of Living the Dream! 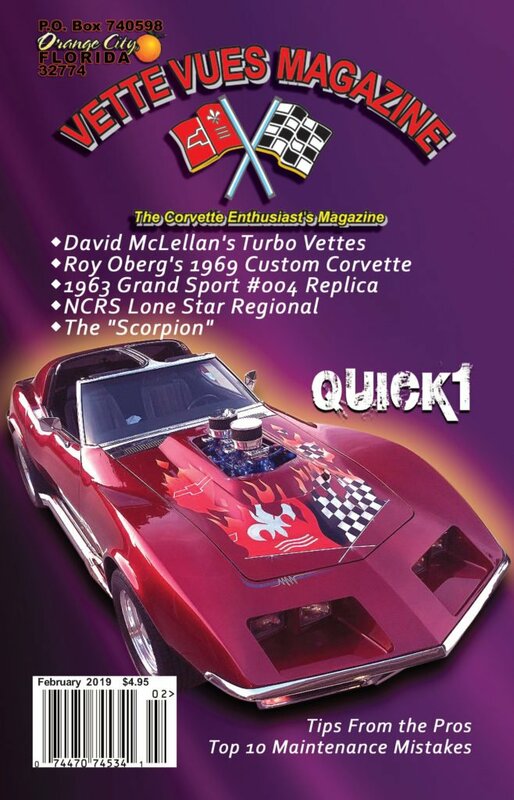 Our Cover Car: Roy Oberg’s 1969 Custom Corvette with a bored 60 over 427 Big Block with 11-1 compression & 600 HP. Cover graphics by Ron Palfrey of RGPalfrey Creative. You can read about it on page 19.